It’s harder now to start a blog than it was 6 years ago when I started. Back in the day when starting out you could take your pictures with a camera phone and be content with it. Times have changed, for the better. We have professional looking blogs, quality content, well-edited photos etc. This is not only limited to blogs, videos as well. People starting out on YouTube used to use webcams to record themselves, do a quick edit and post it online. Now, some of the big names on YouTube have crews that film and edit their content. The digital space has come from far and now we have a breed of smart, cool and intelligent online creators and influencers who are partnering with huge brands, travelling the world and telling amazing stories. They have it figured out…and then there is YOU. You’re just out of high school or you’re in university and you want to start a blog or vlog but you have no money. I keep saying that when I started out, I did it on my phone and then the very next day I went to a cyber cafe to create content. I used to post daily, I never had outfit photos until I got a camera. The struggle was real. If you're looking to have a blog looking like most of your favourite blogs, it will cost you a pretty penny. Blog hosting and buying a domain name can cost you a minimum of kes 4,000 per year. Getting a good website done can cost you from kes 30,000. Once you have that beautiful website, of course, you'll want bomb af photos to compliment it. You'll need to hire a photographer every now and then for your shoots.Then you'll want to buy a camera to use when you travel, just in case your photographer cannot tag along. Content is the most important part of a blog. From the writing to the images to videos. Some of my favourite websites have a very basic web design but the content keeps me coming back. Funny thing is when someone is starting a blog, content is shoved at the back and not dealt with. That's why there are so many beautiful looking blogs with either bad content or no content at all. The best thing to do with content is to write down 50+ ideas of what you could potentially cover on your website. You don't need to use them all at once but you'll never run out of ideas. If you do have a budget to start a blog, you should spend it here. Maybe get a camera or pay a photographer, get a laptop etc.Most people know Mutua Matheka, he's a really talented photographer. If you bought all the equipment that he has and try to produce the work that he does, you wouldn't even come close. WHY? He's had years of experience and has developed his own unique style. Images and videos that are posted online are edited, learning how to use lightroom and photoshop will be necessary if you cannot afford a photographer. Most smartphones nowadays take decent pictures, with just a bit of post-production, the image will look like you used a DSLR. I do my own edits on my blog these days, I'm very passionate about post production both on video and photos. I always have a vision of how I want to portray my shoots which may differ from my photographer. I'm still in my learning stages and I'm having fun with it. Same thing with vlogs, most of your favourite YouTubers edit their own vlogs. If they can do it, so can you.Thanks to developed social media platforms, you do not have to dive into the blogging world immediately. You can start by posting on Instagram and Facebook, gather a following then launch a blog or a YouTube channel. You can start a free blog using blogger, which allows you to customise your themes. Most people feel that blogger is not professional. If you want to start something online...just do it! P.S. 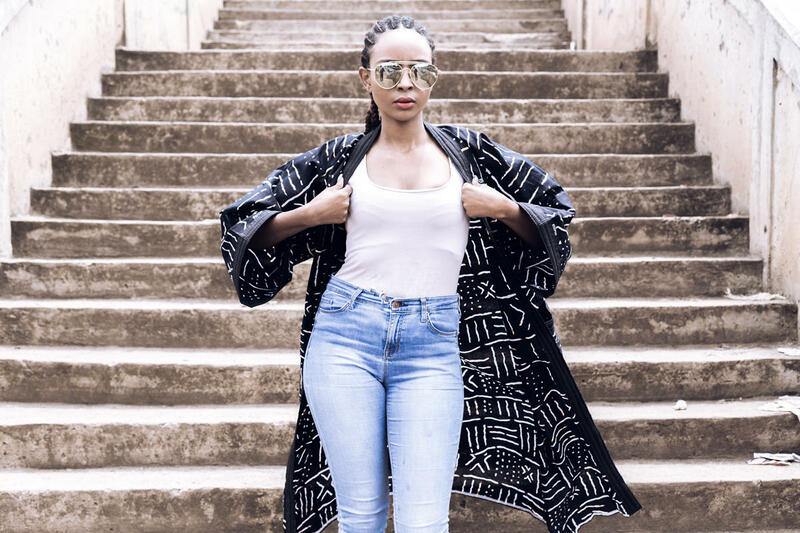 This is a bathrobe that I bought back in Dakar but it looks so good as a duster coat; my basic outfit went from 0 to 100. Damn! That coat, how is it a bath robe? I co-sign all you've said. I keep telling you, you are AMAZING at inspiring others. It's a gift. Also, you are GORGEOUS! I think content is everything as you said cause people like Atlantic - Pacific is still on blogspot & but her work is amazing. 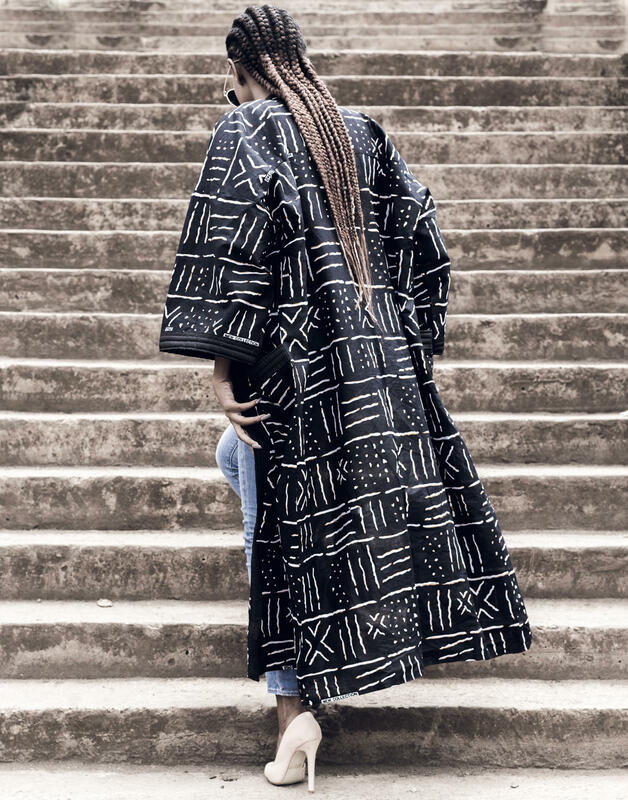 That bathrobe is something else, West African fabric is everything. Excellent write up! I love your work! lets start on how on point your content and pictures are. 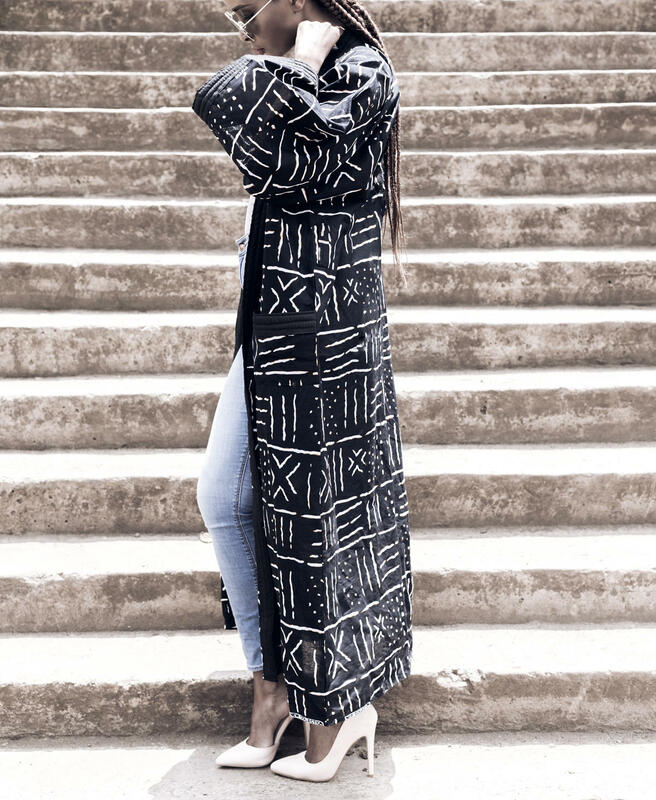 Love the the cover up just does alot to the entire outfit and I think Viva Luxury is dope, Have been following her for quite a while now and I totally agree. Who would have thought that this is a bathrobe? Your wear it so well!! Also, I couldn't have said it better about how important the content of a blog is. Been following Viva Luxury for a long time too. Her blog is so simple but the content is what makes me run fast to her blog whenever shares a post. Viva Luxury is bomb.com and so are you! Who would have actually thought that you are wearing a bathrobe?You really know how to slay in anything. I love that you create your own style, bathrobe..i could never think of doing that but again you pull it off with confidence. The blogging and "creative" standards today has been raised so high that it is so important to carefully plan through every step before delving into the cretive field. Love the outfit as well that robe turned duster coat is pure awesomeness. Way so true about all these tips and your 'kimono is Bae'! Thank you for tips Nancy. Where did you do your cornrows? I agree with you. Content is what will keep people coming for more. I just started a lifestyle blog on a budget. This was a really good read. Struggling with the layout, the struggle is real. Good advice. I myself started blogging way back when before it was popular and it was definitely easier and cheaper then than it it is now. But the quality of content generated has also grown as the years have passed, so it's not altogether a bad thing.